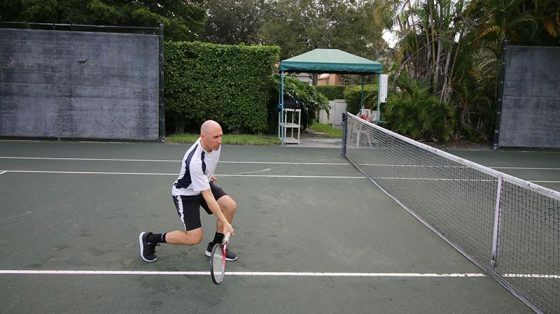 You may have always believed there is only one volley in tennis. However, that’s not the case, as we’ll soon see. The volley game is a bit more intricate and in-depth than most people realize. 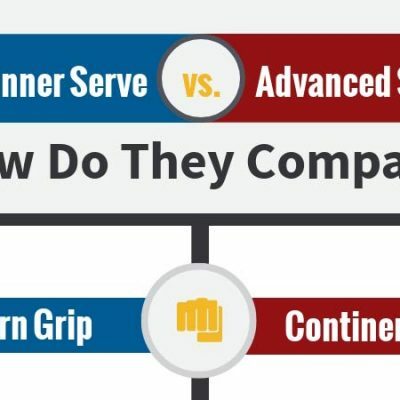 To serve and volley effectively, you need to be aware of the seven volley types and when and how to use them. The seven volley types are the punch volley, the block volley, the drop volley, the drive volley, the half volley, the swinging volley, and lastly, the overhead. 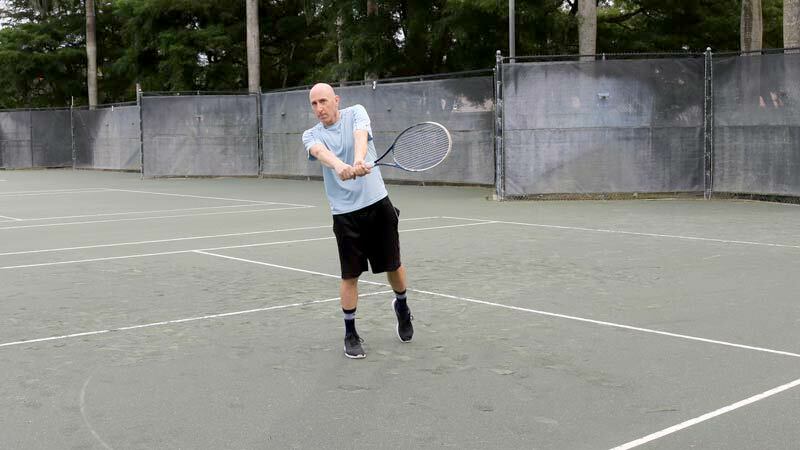 While the overhead is not really classified as a type of volley by most teaching pros, it should be thought of as one, as the ball is taken directly out of the air in most instances. The one instance where that’s not true is when a player allows the ball to bounce first and then uses the overhead smash stroke to put the ball away. What Exactly Is A Volley? In tennis terms, a volley occurs when a player hits the ball directly out of the air, not allowing the ball to bounce on the court first. 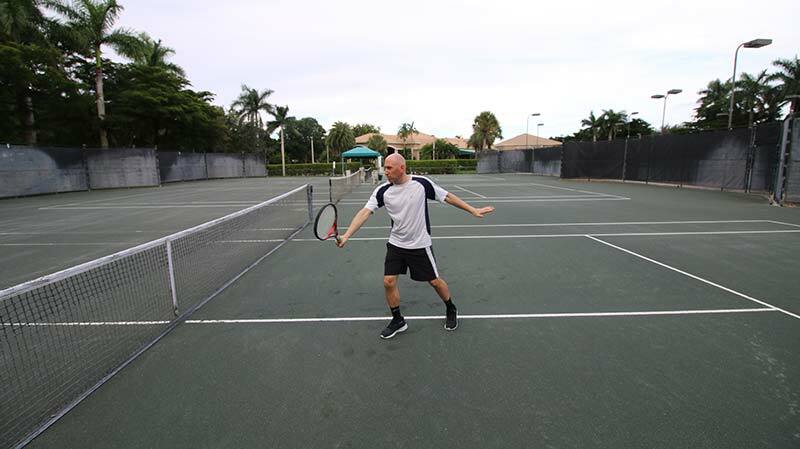 If the ball hits the ground and the player uses a groundstroke (forehand or backhand) that is considered a rally. Many people confuse the two terms – rally and volley – believing that rallies are called volleys. 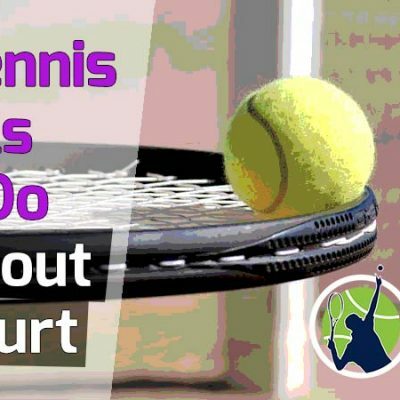 So next time you go to the court, you will now know the proper tennis terminology to use. There are a couple of additional points of information to know about volleys. If the ball hits the ground first, it can still be volleyed in some sense. This is because it can depends on the type of swing used to hit the ball. A volley “swing” is usually short and compact and does not involve a take-back. 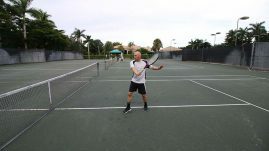 On typical forehand and backhand ground strokes, players follow through by finishing with the racquet on the other side of their body. 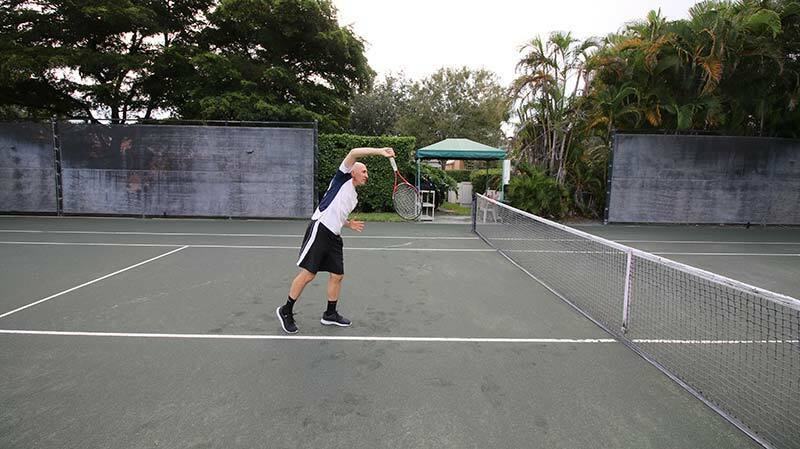 On the volley, that follow through is not present. This is another feature that distinguishes the volley from the groundstroke. One exception to the above “rule” is when a player uses a full groundstroke swing to hit the ball out of the air. This is technically a volley (swinging volley) because the ball is taken out of the air before it bounces, even though a groundstroke is used. We will get into more detail on this volley type soon. If all this sounds confusing, don’t worry. We will address each volley type below with pictures so it is straightforward to understand. 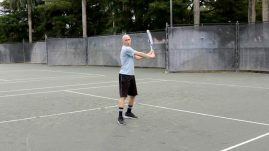 As an added teaching aid, a video will accompany this blog post showing you exactly how to hit each volley type. 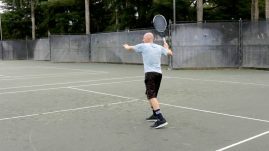 By reading this post and watching the video, you’ll have a comprehensive knowledge of the volley game and be well on your way to a budding net game. The punch volley is executed by taking a very short and compact swing. A front-on view of a punch volley. 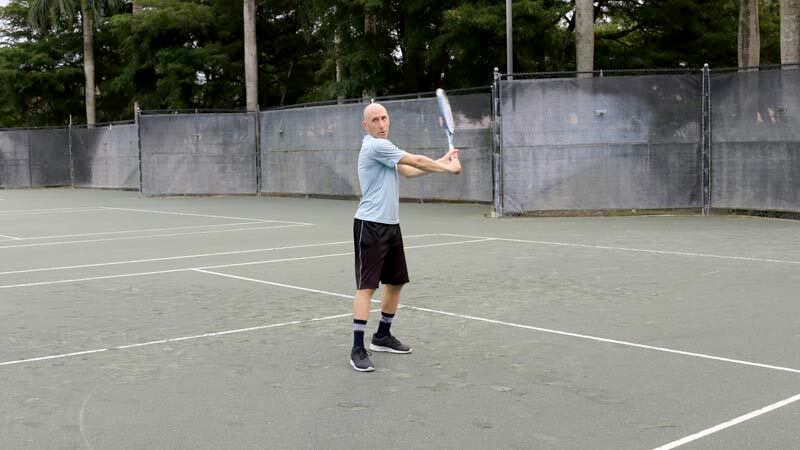 Keep in mind that on most volleys, the racquet is never taken back past the shoulders. In the punch volley, the racquet is moved quickly forward and slightly down, giving a bit of underspin to the ball. This is the volley most people think of when talking about a traditional net game. You may have heard coaches telling you to “punch” the ball. 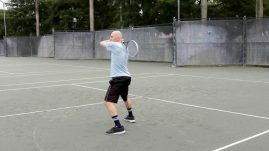 While the word “punch” is a bit of a misnomer, it is called a punch volley because you need to supply a bit of forward momentum to the racquet to give the ball some pace. Additionally, stepping forward and into the ball with the opposite foot helps generate even more pace. This volley type is most often used on medium pace balls that are higher than the net. 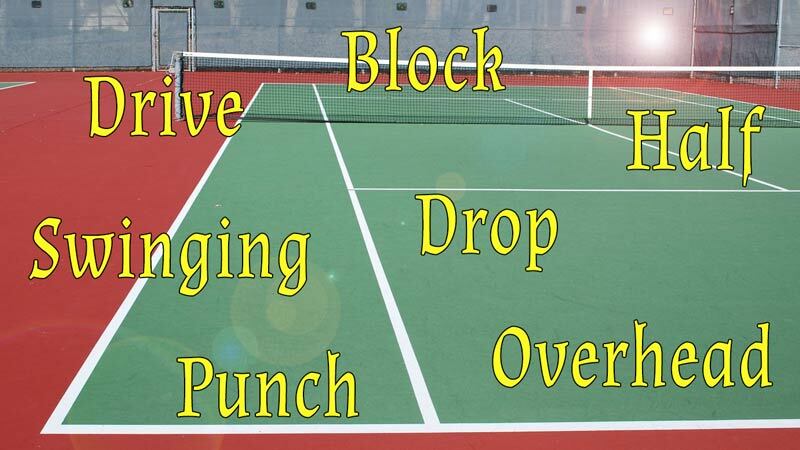 If the ball drops under the net and is volleyed the punch volley becomes very difficult, if not impossible, to hit. In doubles, this is the type of volley that will be used the most by the person playing the net. The punch volley is a crucial volley for executing a great net attack. 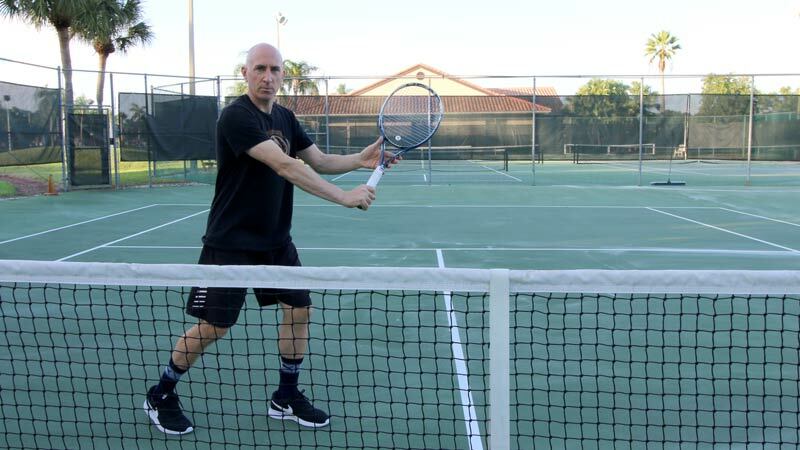 To practice the punch volley, stand 3-6 feet from the net and have your partner hit medium paced shots to you that go at least a foot or two above the net. You can consider this volley as the bread and butter of your net game. The block volley is as its name suggests: a block. On this type of volley, we simply place the racquet in position to intercept a very fast struck ball with no take-back or forward swing (punch). Your body does not need to move forward at all on this type of volley either. The block volley is most often used when your opponent hits a very fast shot in your direction. If a punch volley is used on a very fast shot, the ball will be difficult to control and often be hit out. So on very fast shots, we use what is called the block volley and it’s extremely effective. 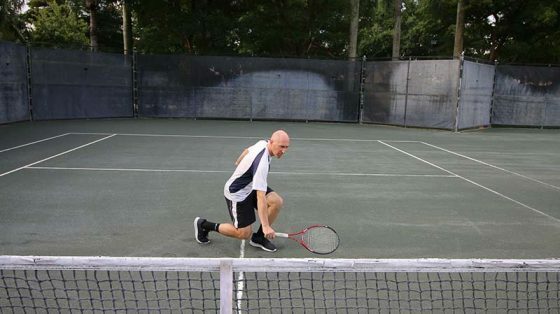 When small children first learn the net game, this is often the type of volley taught, as it requires very little technique. However, executing a great block volley can be very tricky, as hard-struck balls are extremely difficult to control. Anyone who has tried to volley a tennis ball moving at 80 mph or more knows that. To counter that speed, great volley players allow some give to the racquet by holding it very loosely when making contact with the ball. If you look at some block volleys in slow motion, you can actually see the racquet forced back several inches or more by the speed of the ball. This is only accomplished with a very loose grip. Most beginner, and even intermediate level players, will hold the racquet way too firmly on the block volley. 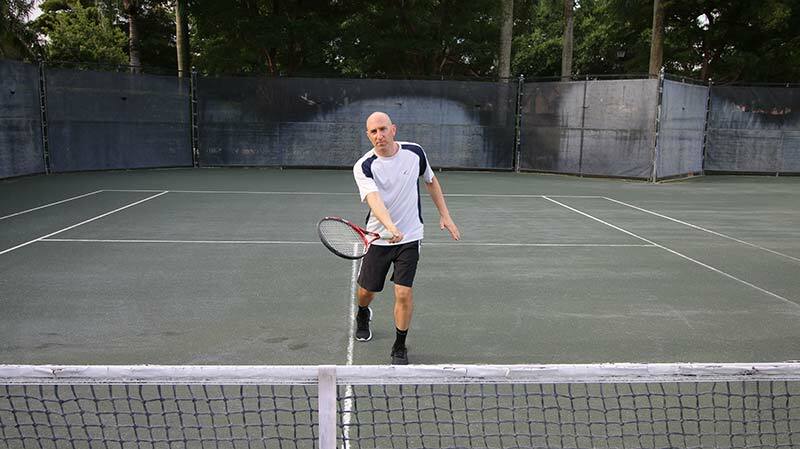 By holding the racquet loosely, it slows the ball down enough so that it remains in the court. 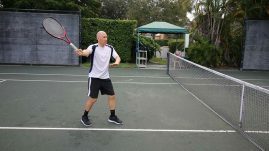 While this is by far the simplest volley technique to employ, it can be the most tricky. 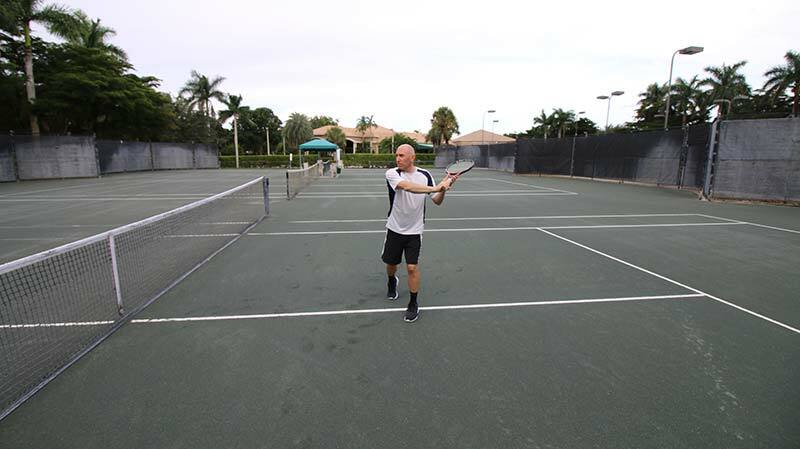 Many club players get into the habit of moving the racquet forward on every volley and holding the grip firmly, as done in the punch volley. Doing so on the block volley only spells disaster. 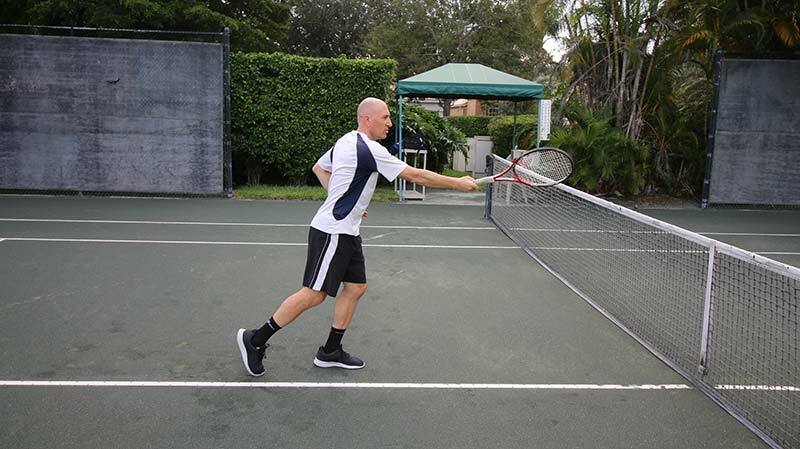 To practice the block volley, have your partner hit very fast balls to you at the net. 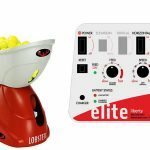 If your partner cannot hit fast, have them stand closer to you or use a tennis ball machine on a fast speed setting. The drop volley is hit softly, dropping the shot closely, out of the baseline players range. A drop volley (front view). A drop volley (side view). The drop volley, also called the touch volley, is similar to the block volley technique but with a few differences. In the block volley, we hit a hard-paced shot back on our opponent’s court with similar pace, redirecting their power. However, on the drop volley, our aim is to hit a very soft volley close to the net. The point of doing this is to place the ball far from our opponent, who is usually camped out on the baseline or beyond. By placing the ball close to the net, your opponent will have to run all the way from the baseline in order to make contact with the ball. 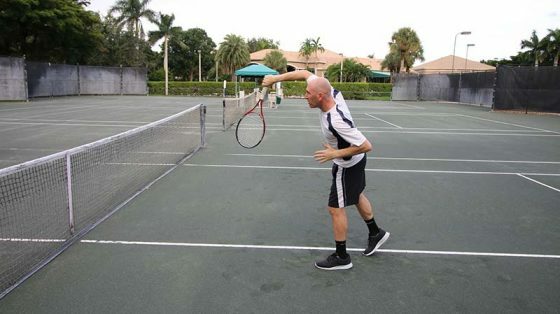 Many times, he or she will not be able to get a racquet on the ball. Even if they do, a well placed drop volley will cause your opponent to lunge at the ball and hit into the net. The drop volley is a great way to fatigue your opponent and end the point quickly. The major danger of hitting a drop volley is that if not done well, it can easily be put away by your opponent. This typically happens when your intended “drop” volley lands close to the middle of the court and bounces too high, with your opponent being able to easily pounce on it like a hungry tiger. 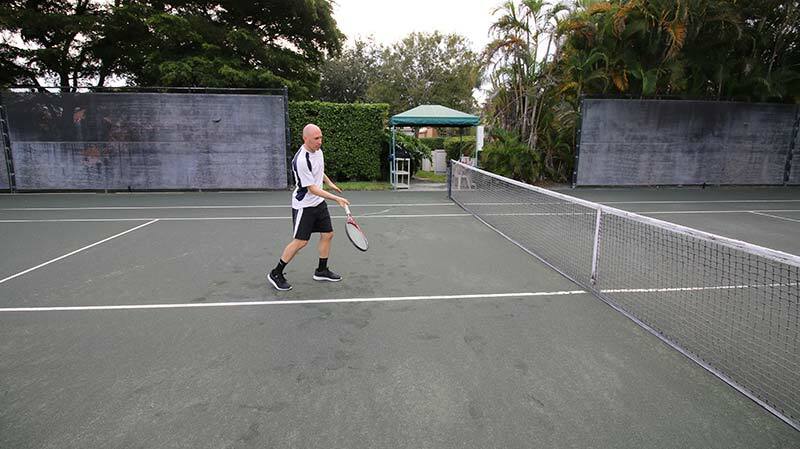 It’s very important that you use a very loose grip and allow the racquet to have a lot of give. 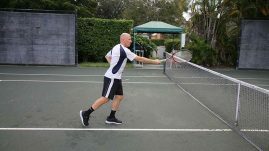 Against big hitters, you’ll probably find it difficult to use the drop volley, as it’s more of an advanced technique – albeit extremely effective. However, it’s not impossible to use the drop volley on high-velocity shots. Pros and advanced players can still hit the drop volley on shots of those speeds (usually 70 mph +). For beginner and intermediate players, fast paced shots should be handled almost exclusively by the block volley. To practice the drop volley, have someone hit you medium paced shots at the net. Keep a loose grip and allow plenty of give on the racquet. 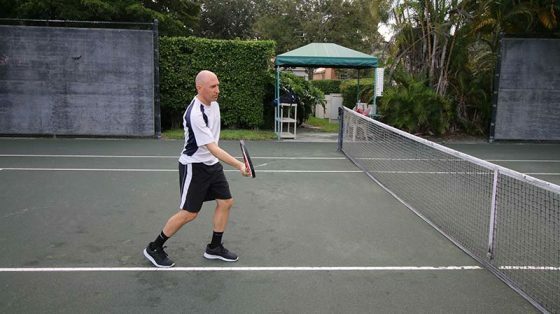 The ball should be forcing your racquet backwards. On the drop volley the point is to put as little pace on the ball as possible. Just a light touch or a little backspin is all that’s needed. If your balls are landing with almost no pace a couple of feet from the net, you’re doing it correctly. 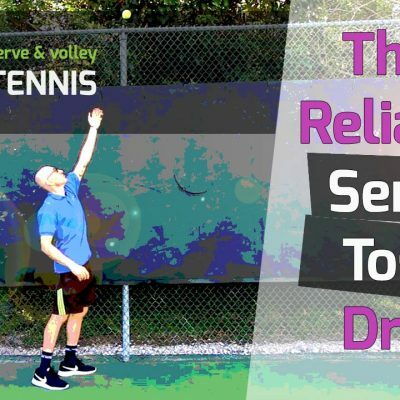 The drive volley uses the longest swing path of all the volleys and is ideally used on slow shots that are a couple of feet or more above the net. The less pace the ball has when it comes to us, the more we need to swing to generate pace. Pace allows us to put the ball away so our opponent cannot return it. Advanced players that anticipate well can use the drive volley on medium-paced shots, but it’s not recommended for beginner or intermediate players to try. 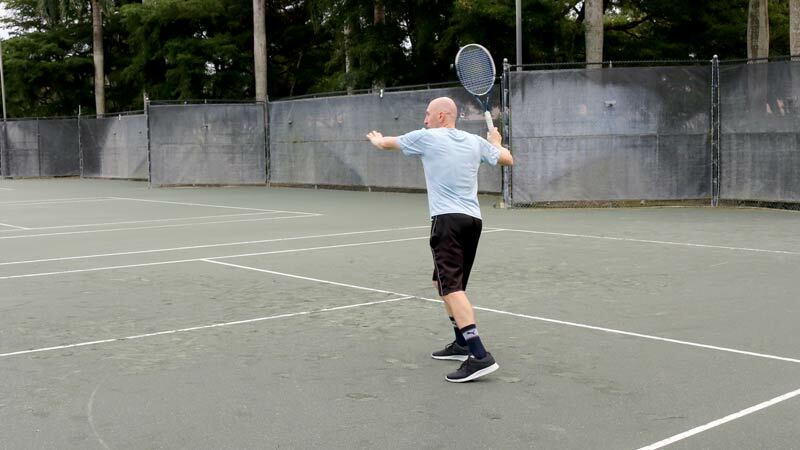 To hit the drive volley, the shoulders are turned and the racquet is usually taken back and held up high. However, it is still advised not to take the volley past the point of the shoulders, as this is likely to cause a miss and is unnecessary. On the drive volley, we have time to set up into a power position because the ball is coming in slow. The objective of this volley is to hit the ball with pace and placement while finishing the point immediately. 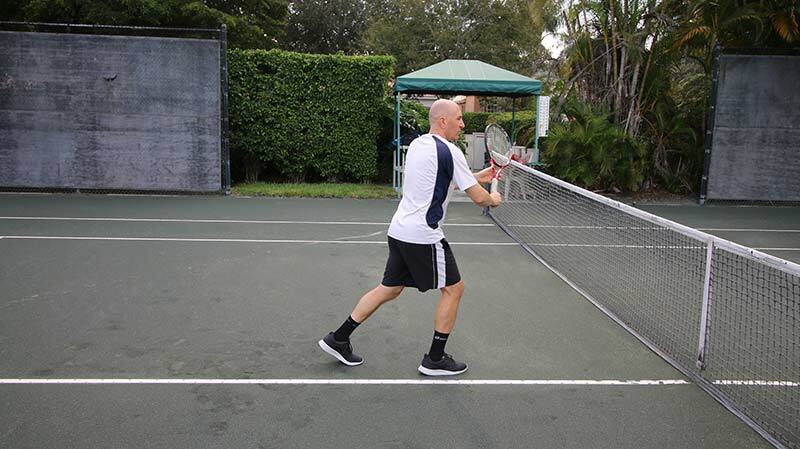 Any advanced net player will end the point 9 out of 10 times with the drive volley in singles. This volley is crucial to taking your net game to the next level. If you can’t put away the slow, easy shots, the game becomes very hard for you at the net. We need to be able to decisively end the point with the drive volley. On this volley you can also take a nice step in and get your weight into the shot. 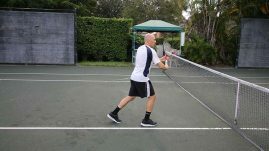 Remember, since the incoming ball has little pace, you need to move your racquet quickly forward and slightly down (creating backspin). 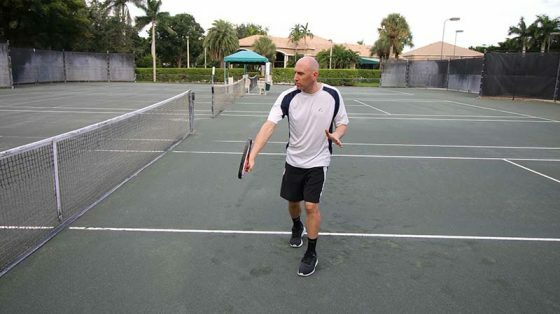 The two most common issues when hitting the drive volley that I see is not coming up to the ball and not moving the racquet forward with enough velocity to volley with pace. 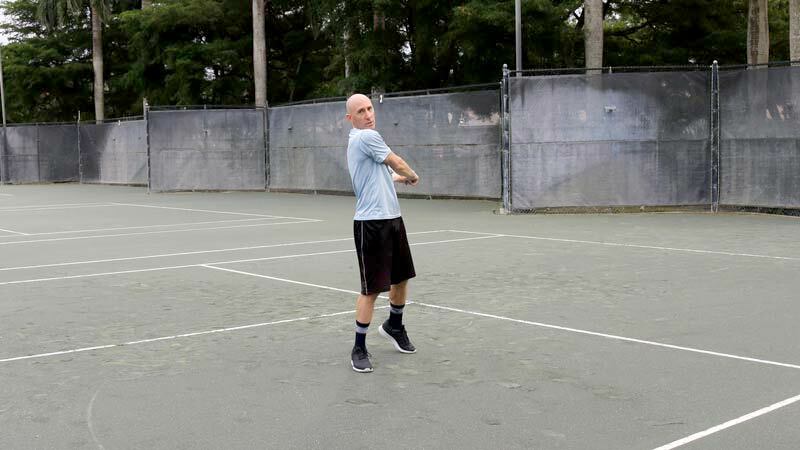 The drive volley is one of the easier volleys to practice, as the ball comes to you slowly. 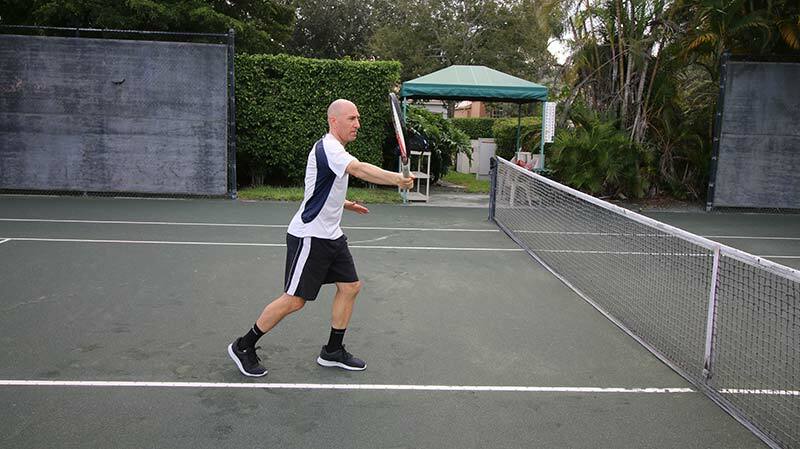 You must be equally adept on both the forehand and backhand drive volley to control the net effectively. When your opponent sees you effortlessly put away a drive volley far out of their reach, it strikes fear into them and makes coming to the net easier the next time around for you. To practice the drive volley have your opponents hit you slow-paced shots at least 2-3 feet above the net. 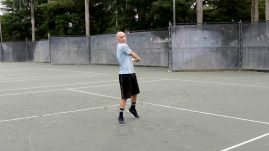 Try aiming to the corners and down the middle, as these are the most common places you’ll want to hit the drive volley. The half volley is defined as a volley stroke used on a ball that has already bounced. The half volley is most often used when we can’t get up to the ball fast enough to volley it out of the air. This volley can be very effective, as in some ways it can be easier to place than a traditional volley. This is because the court surface, especially clay, can reduce the speed of the ball, allowing us to more easily control it. Hitting a drop shot off a half volley is especially effective and usually surprises the baseline-bound opponent. On the flip side, half volleys can be incredibly challenging as well and even give advanced players fits. This can happen on hard-struck balls that bounce very close to your body. The best way to deal with these types of shots is to simply block the ball to hit your half volley. So it would be similar to hitting a block volley, but the ball hits the ground first. You can also employ the drop volley technique on slower hit half volley shots. These two volley techniques are the most common ones used on half volleys. However, the drive volley can be used on slow balls that bounce up high at the net, though this is much rarer. The half volley requires good hand-eye coordination and lots of practice to master. If you are planning on being a serve and volley player, it’s essential you can hit half volleys. 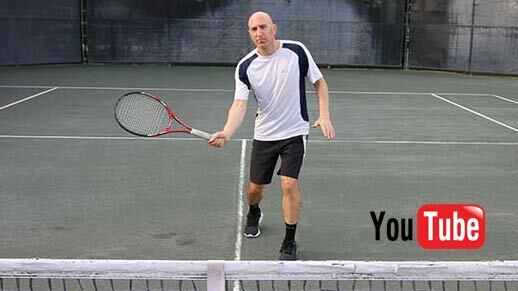 Many times while coming into the net off the serve, you’ll be forced to hit them. Since half volleys are usually hit from under the net, it’s difficult put them away with drive. 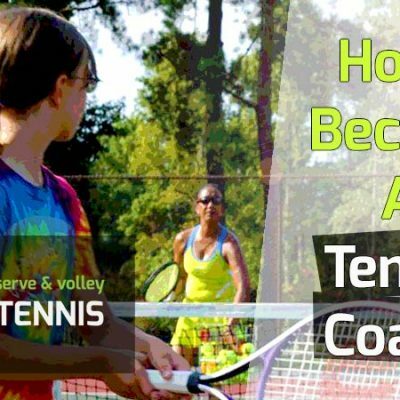 So best to think about using placement when half volleying, especially at the beginner and intermediate levels. When you’re forced to half volley hard-struck balls, just aim for keeping the ball in play and then get to the net and set up for next shot. 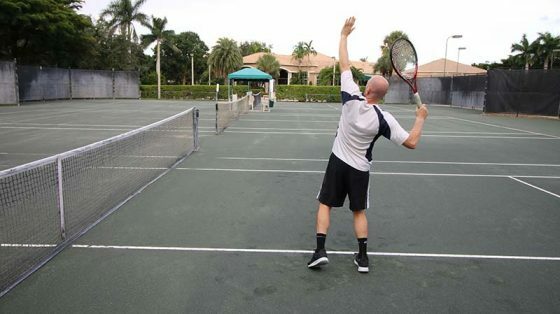 To practice the half volley, stand 6-10 feet from the net and have your partner feed you medium-paced shots that land right in front of you. 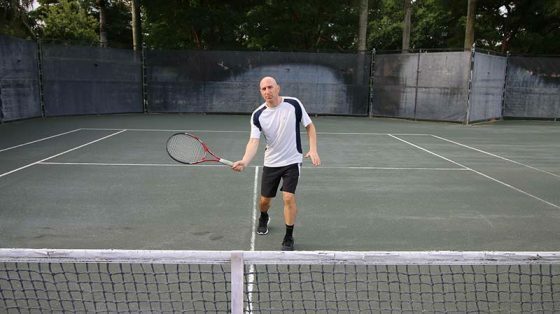 Good racquet feel is essential to hitting effective half volleys. 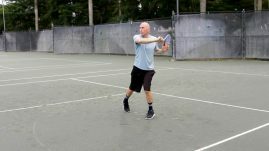 This is an advanced level volley that is employed when a player uses a forehand or backhand groundstroke to hit the ball directly out of the air. The swinging volley is rare to see at the club level, but it’s personally one of my favorite volleys to hit. It can end the point decisively and is beautiful to watch. 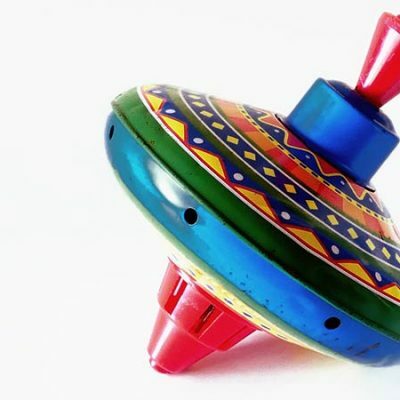 However, it requires great hand-eye coordination and the margin for error is much greater than a traditional compact volley technique. The swinging volley is almost exclusively executed on slow-paced balls above the net, however, it can be used for balls that drop below the height of the net as well – though seldom seen. As the net player takes a full swing at the ball, the ball is usually struck with such pace that it cannot be returned by the opponent. Every tour-level player, men and women both, can hit the swinging volley to abruptly end the point. 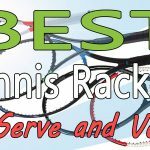 While volleys can technically be hit from anywhere on the court – the net, the service line, the baseline – most compact volleys are hit inside the service line. 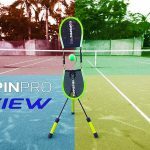 However, the swinging volley can be hit effectively from anywhere on the court, with most being struck a few feet in back or front of the service line. The big wind up of the swinging volley makes it difficult for an opponent to read as well. 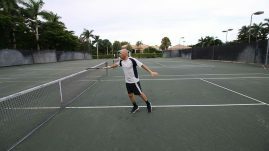 Simply by practicing the swinging volley, even if you never use it in a match, you’ll improve your racquet speed and hand-eye coordination. While not imperative to learn, as the other volley techniques mentioned here will do fine for you, the swinging volley can be like a secret weapon you take out once in while to nuke your opponent and demoralize their spirits. 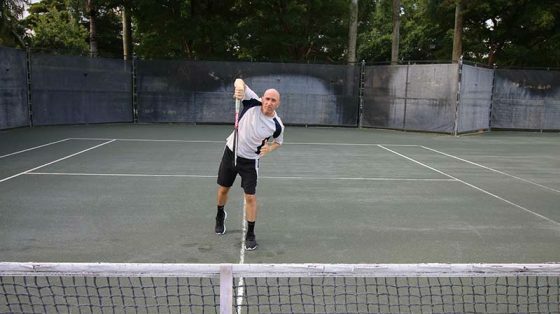 Okay, maybe that sounds a little too dramatic, but trust me, it’s the most fun volley to hit in tennis. 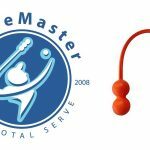 To practice the swinging volley have a player toss a ball to you and use your forehand groundstroke to hit the ball directly out of the air. Make sure the person tossing the ball is off to the side and not directly in front of you. You wouldn’t want to accidentally hit them and ruin your whole practice session (plus they wouldn’t like you anymore). 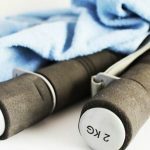 Do as many reps as needed and then switch to the backhand side. Keep in mind the swinging volley takes much more energy to hit than the volleys previously mentioned, so you may find yourself getting tired after not too long. Don’t worry, that ‘s normal. Make the swinging volley a part of your volley arsenal if you can. You won’t regret it. This is the one technique that professional coaches and players dispute being a true volley. We are going to say it is here. The overhead smash occurs when a player takes the ball directly out of the air (usually on a lob), hitting the ball from above their head. The player moves the racquet quickly over head (similar to some parts of a serve motion) and hits a very fast paced shot that hopefully ends the rally. 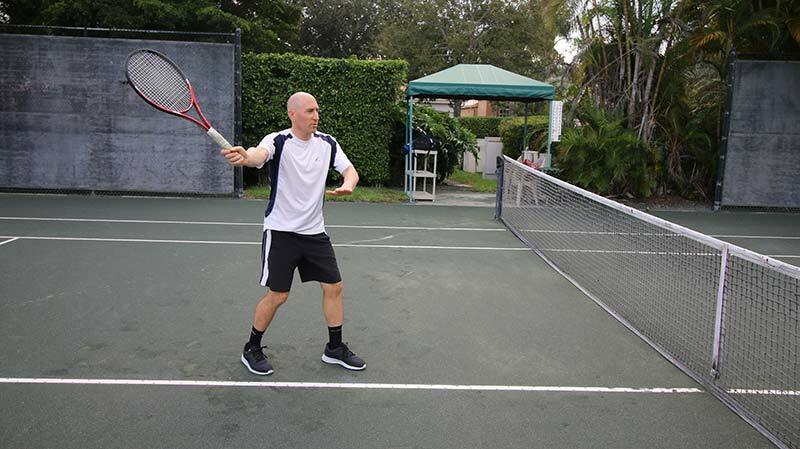 There is one exception to this rule – yes, there are many exceptions in tennis. The one exception happens when the player allows the ball to bounce first and then employs the overhead smash to put away the ball. This is quite common and is advised for many beginner players, as it is far easier to hit a smash after the ball hits the ground. 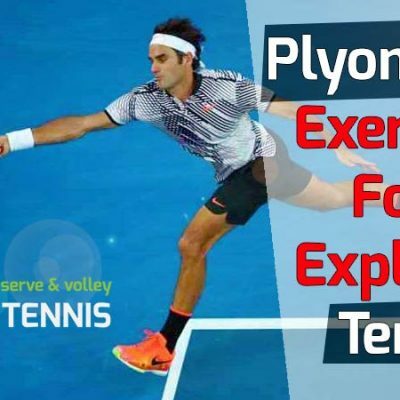 The exception – again, here we go with the exceptions – is if the ball is moving quickly backwards or if the ball does not bounce up high enough to hit the overhead smash (but you still try anyway). The overhead smash can be one of the most challenging shots in tennis for a variety of reasons. For one, if you play daytime tennis there is this nasty thing called the sun that often blinds you when you look to the sky. For this reason, you should be aware of the position of the sun from your side of the court so you can plan accordingly. Additionally, night tennis can be tough too, as the ball can be hit so high that it goes outside the space of the lights and can be lost from sight for a couple of seconds. 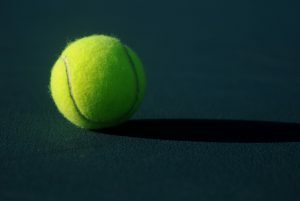 The other major challenge is the wind, which can play havoc with that 2-ounce tennis ball before it reaches your racquet. These are factors that all players contend with, so just accept them and get used to them. 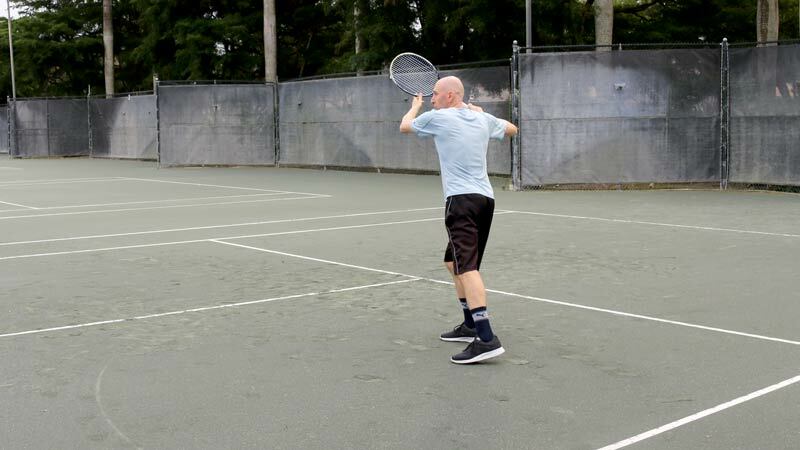 It’s par for the course for any good volley player. For beginners, the overhead smash will most likely be the toughest shot to hit due to the precise timing needed to hit the shot. Practice makes close to perfect here. Some tips on the overhead are to turn to the side, get your racquet into the power position early and use your non-dominant hand to act as a guide for tracking the ball. Moving can also be an issue for beginners. Use the cross step and shuffle to move back. Many players I see at the club level, walk backwards to hit an overhead, which is technically incorrect and can cause you to fall. A well-hit overhead is a thing of beauty and can and should decisively end the point. The overhead can be struck effectively from anywhere on the court and is an often-used technique at every level of tennis. To practice the overhead smash, have your partner feed you low, easy-to-handle lobs from the other side of the net. As you improve your overhead, your partner can slowly increase the difficultly level by hitting higher lobs and making you move more.